“The best and most beautiful things in the world cannot be seen or even touched. They must be felt with the heart.” Said Helen Keller. All of us can definitely vouch for the fact that Love is a breezy feeling which our heart alone experiences. It is an abstract emotion which gives people hopes and the will to survive. Therefore, in hearts filled with love, the presence of God is an absolute reality. Love has got the capacity to explore beyond the physical and experience the metaphysical, which is an attribute of Mysticism. The quest to perceive God is the characteristic of Mysticism. In metaphysical love often it becomes such an intense and graceful state of mind that lovers go to the extent of forgetting themselves and remember only their lovers, which is the height of it . Love and spirituality cannot be separated and it is difficult to verbalize spiritual love. A book of love poems in itself is a novel idea and the young poet Bhaskarand Jha Bhaskar, a gifted trilingual poet in Mythili, Hindi and English, in his latest poetry collection entitled ‘Soothing Serenades – Straight From the Heart’ brought out by the renowned publishing house Authorspress, New Delhi presents 62 love poems with intellectual ease which are capable of awakening sublime feelings in the minds of the readers. Poem after poem he conveys the power of love and deals with the theme with passion, sincerity and conviction. With verbal agility when he presents the poems with depth and beauty and a sense of commitment, readers can experience a kind of catharsis. Considering the modern poetic trends, these poems perfectly qualify to fit into the era of contemporary sensibility. In many places his artistic language gives thrust to the overall efficacy of the theme based poems. Dr. Amarnath Jha in his Foreword to the book says, “The love poems included in it are Platonic, spiritual, mythical, fantastic as well as realistic. The poet talks of all the Western mythical paraphernalia of love, such as references to Eve, Cupid and Aphrodite.” which is also endorsed by Prof. R K Bhushan Sabharwal in his Foreword. Mr. Arun K Jha in his introduction has taken up an elaborate dissection of the poems with meaningful conclusions, which give an insight in nutshell to its contents. The book also contains 30 blubs by eminent writers and poets from India and abroad, which give various inputs on the poet as well as the poems in the collection. In one of these blurbs, Dr. Cijo Joseph Chennelil , an erudite critic, lists out twenty salient features inherent in the poems included in this collection extolling the virtues of love, in his own lucid style. ‘I Am’ is a poem, wherein the speaker of the poem identifies himself to be ‘a man with poetic sensibilities, scribbling on the sands of time giving shapes to thoughts even though he lacks rhythm and rhyme’ and sounds a bit remorseful in tone. Love leads me unto Him above. Love is a feeling which is normally difficult to define like beauty. Here Jha in poem entitled ‘Love’ gives quite a few descriptions for love such as a fantasy, a willing drug, a sweet invisible relation, an enigma beyond understanding etc. The poem I quote here in full which brings various realms of the subtle emotion called love and this proves the poetic dexterity of Jha. With the music of soothing happiness. Of their sweet future and ecstasy. But mingled together at heart and soul. Poem titled “Healing Power of Love” , sings the powers of love and the poet believes that love heals the deep wounds of life. The idealistic care and concern for lovers are drawn to a perfect scale in poem titled ‘Whenever I Speak to Her’. In some places Jha uses sensuous images like ‘salacious beauty’, ‘lascivious eyes’ like for instance in poem titled ‘Love in Dreams’ and the personification of sugar canes as honest dutiful cops is a fresh baked idea and the poem he concludes thus. Love here is romantic and passionate. ‘Wintry Night and I’ is another passionate poem and here poetry is equated to something that perennially uplifts the mood of the poet even in pain or at times of melancholy. Poems of this stature not only elevate the mood of the poet, but those of the readers too enabling them to enjoy joy in pain. Silence between the lovers is disturbing to each other. There cannot be anyone who at one time or other in their life has not experienced the ups and downs in love and can very well relate to the emotional turmoil depicted in the poem. Jha draws the image of ‘Silent Love’ in poem under the same title quite subtly. The speaker of the poem tries to break the ice with love-lorn words and the beauty is that all those glee and bliss stimulate in giving birth to poetry of high standards. In ‘Down Memory Lane’ . the poet turns nostalgic of his motherland, which is portrayed as a motherly figure with its flora, fauna, the native people, his mom, childhood friend, but he has concerns of it being turned into concrete jungles. A good poet can never ignore social concerns and is supposed to raise his voice against them. Jha believes and emphasizes being honest and loyal in love, which can alone culminate in smooth union of body, mind and soul, and thus achieve the sublime objective in real love. ‘My Valentine exists in me. A visionary’s voice is heard in ‘Lovebirds on the Branch of Poetree’ when he says that the birth of a poem is similar to the birth of a newborn baby when the love’s birds descend from the blue sky of emotions from the green pasture of romance when thoughts and feeling meet and mate on the bed of life. Each creation is special to the poet which another creative soul can very well understand. Such a positive approach on the part of the poet would always be rewarding. ‘Solitary Company’ is an intense poem with the craving of the love-ridden heart wanting to migrate to the world of eternity, deprivation of which gives sort of pain. Jha in the poem titled ‘Voice is Heard More in Silence’ says in love poetry, silence becomes more articulate and speaks louder than words. One’s silence is a must. In poem ‘Soft Breezes Blow’ the poet states that even the thoughts of the beloved gives delight, makes him feel cuddled, ecstatic and thrillingly enthralled, making the readers too appreciate the power of love. In poem “Celebration of Love”, Jha says love is to be celebrated each and every moment, not just to enjoy it madly for a day in a year in the name of Valentine. He obviously hints at the recent trend of emulating the western trend of Valentine Day Celebrations. Love is seen here as an element of four Purusharthas, which is entwined in the cultural heritage of our country. Poems like “Happy Moments of Togetherness”, “Growing and Being” and “Life Just Floats On” all deal with the fulfillment of love, whereas in ‘Feeling Closer’, he adds another dimension, ‘reason and thought’ to time and space. Love as a subject is an infinite ocean. Jha in his verses articulates and celebrates love with creativity, passion and great expressions. I believe that one becomes closer to the supreme power through his creations, a divine urge, more so when the subject is Love, which is closer to spirituality, the one who creates it becomes superior. The poet seems to talk about love as in a divine experience, which can stir up the minds and evoke intellectual as well as emotional responses from the readers. Many of the poems in this collection depict a lover’s deep thirst and passion, to merge with his beloved and reach the realm of eternity. 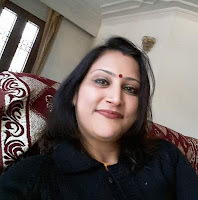 Jha deals with various types of love viz., sensuous, romantic, imaginative, passionate physical, metaphysical and spiritual, all through with a sense of commitment, depth and beauty in a language convincing and a in voice of conviction. He is an established poet who has already created a niche for himself in Indian English Poetry. I wish him great success in the years to come and this book of poems no doubt will be a valuable asset to the poetry lovers. Authors bio: Pankajam, retired from BHEL as DM/Finance is a bilingual poet and novelist, writing in English and Malayalam, settled at Chennai, India . She is one of the editors of the journal ‘Teesta Review-An International Journal of Poetry’. She has authored eighteen books including ten books of poems and one of her book of poems has been translated into French. Her articles, poems, book reviews and papers have been published widely in national and international journals/anthologies. Her poetry has been discussed in detail in the book ‘Femininity-Poetic Endeavours’ and in another book ‘History of Indian Poetry in India, which is upcoming. She is the recipient of many awards, has participated in several literary events and presented her works.